Regina Malveaux is the CEO of the YWCA of Spokane. She began her career as a Legal Advocate at the YWCA of San Diego and previously served as Executive Director of the YWCA of South Hampton Roads. Regina has worked in the non-profit sector for over twenty years and is recognized as a tenacious advocate for women, youth and children. Regina holds an undergraduate degree in Social Policy from San Diego State University and a law degree from Howard University School of Law. During law school, she served in the White House and as Congressional staff, for First Lady Hillary Clinton and then Chair of the Congressional Black Caucus, the Honorable Maxine Waters respectively. 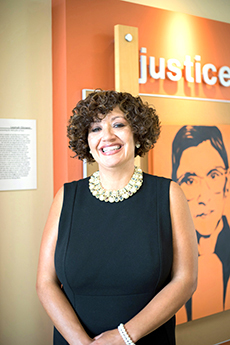 She has worked to train a new generation of advocates as an adjunct professor in Political, Women’s and African American studies at San Diego State University, the Institute for the Study of Race and Ethnicity at Old Dominion University and Whitworth University. Regina has served on a number of boards aimed at advancing racial justice, economic empowerment and victim safety including the San Diego NAACP, Dress for Success San Diego, and the Alliance for Gun Responsibility. In 2018 she was appointed by Governor Jay Inslee to the nine member Washington State Women’s Commission. Regina is the mother of two adult children and currently resides in Spokane, Wash.